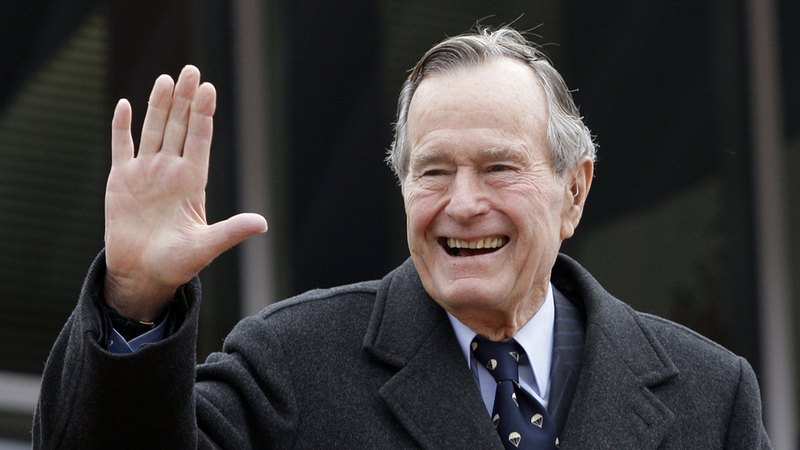 With the passing of George H. W. Bush, much has been made of the former president’s life and record, whether it be his foreign policy achievements or the public devotion he showed toward his family. But perhaps what's most striking is that the tributes continue to crisscross the political divide, pouring in from leaders, celebrities, family, and friends from all across the partisan spectrum. In today’s polarized times, it feels a bit counterintuitive that a Republican would be eulogized by conservatives and liberals alike. That cognitive dissonance is epitomized in the fond words written by Bill Clinton, the Democrat who ousted Bush for the Oval Office in the 1992 election. Their fierce disagreements on policy aside, the two remained close friends. Such sentiments are an aberration from the norm these days, with a difference in politics being just cause for terminating a friendship. Some argue that the era of civility dies with Bush. At AllSides, we certainly agree there is a problem. Social media creates a personal silo for each user, isolating individuals from opposing viewpoints. The 24-hour news cycle works to actively divide consumers, relying on a business model that draws a loyal, partisan customer base by making viewers angry at the other side. Polarization deepens as we stay in our cozy filter bubbles, surrounding ourselves exclusively with like-minded peers. But there is much that can be done to forge a path toward civility. AllSides curates diverse perspectives on the major issues of the day, not to change anyone’s political views, but to help our readers gain a better understand of the “other.” AllSides for Schools helps students sharpen their media literacy skills — for instance, Mismatch pairs participants with different political views to have one-on-one conversations about the hot-button issues of the day. Think Tinder, but for civil discourse. As the nation mourns the 41st president's passing, Clinton thinks he knows what Bush Sr. would have said to those who believe that Americans can no longer agree to disagree, who contend that respectful dialogue amongst political adversaries is an impossible feat. “‘Nonsense. It’s your duty to get that America back,’” posits Clinton.